Plugins are key to making WordPress work and also for making your website super customizable. But before we dive into the must have WordPress plugins for your site, let’s first define what the heck a plugin even is. A plugin is a little piece of software that was created to add some type of functionality to your website. The developer writes some code that makes cool shiz happen on your website. They then package it up as a piece of software and call it a plugin. You, then, download the plugin from the WordPress plugin repository and install it on your site, so your site will do whatever cool thing the plugin was made to do. Plugins do all sorts of things like add social media buttons, link your site to Google Analytics, or speed your website up. There are currently over 52,000 plugins that you can add to a WordPress website, not that you’d ever want to add that many as your site would undoubtedly break, but hey, they’re there if you need them. They can also be a little silly and fun. In a quick search, I found over 15 plugins related to emoji’s!! And there’s one I used to put on my classroom website when I was teaching that added flying reindeers and snowflakes to the homepage because why not decorate your website for the holidays too, right?! Plugins are what make WordPress such an amazing and flexible platform. You can add a store and sell products with WooCommerce, create an entire social media experience with BuddyPress, chat on forums with bbpress, or teach courses with Learning Management System plugins. The options are truly endless. It’s amazing what you can do with plugins, but remember there are a few criteria to look at before going nuts and installing plugins on your site. If you find a plugin you think might work, look at how recently it has been since it’s been updated. If it hasn’t been updated in 8-12 months or in years, look for another plugin that is maintained and updated more frequently. You can also click on the plugin author’s link. Make sure their website is still active, and they’re still working on their plugins. The plugin also should be compatible with your version of WordPress. If WordPress just updated a few days prior, that might not be the case, but a reputable plugin will get compatible quickly with an update of their own. Also, look at the number of downloads. A plugin that has been downloaded a million times is most likely far more reputable than one that has ten downloads. This isn’t to say that newer plugins aren’t good, just be careful. They aren’t on as many sites, so it’s not as clear if there are conflicts with other plugins. Finally, look at the reviews and ratings. Read through some of the reviews and make sure it has 4+ average ratings. Overall, Plugins need to have been updated recently, have an active author/developer working on them, work with your version of WordPress, have a decent # of downloads, and have solid reviews and ratings. What are the Must Have WordPress Plugins you Should Install? I have a standard list of basic plugins that I install on my client’s websites and that I advise my coaching clients to use on their sites. There are all kinds of lists out there, and this is my list. It’s not necessarily the best list or a completely comprehensive list, but it’s a list I’ve refined over the years that I’m quite happy with. If you’re building a brand new site on your brand new domain name/url, install the EZP Coming Soon Plugin first. Set that up to collect email addresses while you build your new site “behind” it. If you’re building on a sub-domain and then replacing your “old site” with your “new site,” you don’t need to worry about this. Wordfence – Next, install and configure WordFence, which is a security plugin. WordPress, unfortunately, is a target of hackers. You might think that your first, brand-new site with very little traffic will escape being a target, but it can be. This is the most important of the must-have WordPress plugins. Secure your site as soon as you install WordPress. There are a handful of great security plugins out there which you are free to research, but WordFence has always done a great job for me. Updraft Plus – configure this to run daily or weekly backups for you. Akismet – this will handle spam comments. Yes, I know. This isn’t a security or back-up plugin but it didn’t fit anywhere else. I decided it “secures” you from creepy internet trolls who leave Spam on your site. So, it’s here as a security plugin. Yoast – speaking of people finding your site and commenting (even creepy ones), definitely install Yoast. 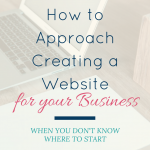 It will absolutely help you get your site out there and visible. If you use Yoast’s guidelines and optimize your posts and pages, you’ll give Google a hand in helping them provide your amazing information to whoever may be searching for just what you provide. It’s a win/win for everyone. Monster Insights – this is a great Google Analytics plugin. You still have to add your website to your Google Analytics Account, but you can see all of your data on your website and work to boost your SEO. WP Fastest Cache – You’ll definitely want a caching plugin. It’s another must have WordPress plugin. It will help speed up your website so it goes super fast. Site speed has an impact on your SEO, so make sure that your site goes as quickly as possible. Ewww Optimizer – if you’re uploading large images and not running them through Photoshop to optimize them for the web, install Ewww Optimizer. It will optimize your photos, making them smaller, so they don’t slow your website down. I used to recommend WP Smush, but after running a few speed tests on my own and client sites, Ewww Optimizer repeatedly came out the winner and dramatically increased site speeds. Not many people (other than nerdy people like myself who study this stuff and spend their weekend at WordPress events called “Word Camp”) know that to minify merely means to remove the spaces in their site’s code. But Google doesn’t tell you exactly how to remove all those spaces. Google just says, “do it,” like they’re Nike or something. Thanks Google. Thankfully, the Hummingbird plugin tackles all of Google’s confusing instructions for you. You will notice a definite difference in your site speed before and after installing Hummingbird. WP Rocket – if you want a full on, premiere plugin for caching, I recommend WP Rocket. This is a paid plugin, but it’s a great plugin and worth the $37/year. Contextual Related Posts – this adds related posts to the bottom of your blog posts. WordPress Popular Posts – this is a plugin you can add to the sidebar or footer of your posts page to share the most popular posts. If somebody reads an entire post, it’s a good idea to give them access to more posts that they might like. Editorial Calendar – this is not a necessarily a must have WordPress plugin, but it’s one of my personal favorites, so I’m including it. It’s how I organize all of my blogs and posts, and how I’ve done it for years. It provides a calendar view of your posts which is helpful to plan them out. If you’ve got a WordPress.com site, you can also use Jetpack for some of these features, like the related posts and popular posts. 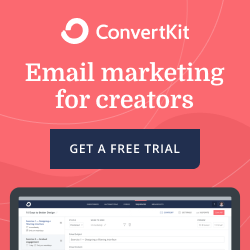 Contact Form 7 – this is a great free plugin to create simple contact forms for your site. Gravity Forms – this is a premium plugin but you can create all kinds of forms and form fields. It also integrates with a bunch of other plugins, so you can add forms to different areas of your site. LifterLMS – this is a free plugin that creates a Learning Management System on your website. I host all of my courses on my own website using Lifter. You can see them at programs.entwinewebdesign.com. The plugin itself is free, but you do have to pay for upgrades, like Stripe integration so you can collect payments. However, I’d rather pay for that than a monthly fee that a lot of “teaching” platforms charge. I also like being in control of my own site and content. You’ll notice many plugins have free versions and paid upgrades for a version that has some more features and is a little more robust. Paying for the upgrades is totally up to you. I do pay for the upgraded Wordfence protection on some of my sites as getting hacked is a nightmare. I also have upgraded LifterLMS to add the functionality to accept credit cards. 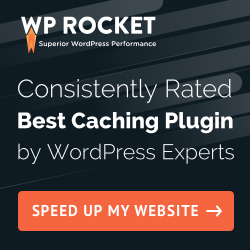 The other paid plugin I sometimes use is WP Rocket which is a premium caching plugin. In general, plugin upgrades can run from $15-$100 either per year or a one time fee. Wordfence is the most expensive upgrade I use and it’s $99/year but the price goes down if you buy a two year package or install it on more than one site. WP Rocket is $39. You get one year of support and updates. After one year is up, you don’t need to pay for it again, only if you want the updates. I’m sharing this information so that you’re aware that plugins can be a big investment. They’re one of those “hidden costs” of launching a website. Generally the free versions of plugins work great. You will probably find yourself searching for and using more plugins on your website. Go to your plugins page. Click Add New. You can find this in the left dashboard or up at the top of the page. In the search bar, type the name of the plugin you’d like to install. On the plugin, click on Install, then Activate. The plugin is now on your site. Next, find the name of the plugin in the left panel on your site. It might appear or it might be in the Settings section. WP Smush will appear in the Media section. Click on each plugin and configure it’s settings to set it up and get it working for you. You have to keep all of your plugins updated to keep your site safe from hackers and breakage. It’s like putting oil in your car or cleaning your toilet. It’s not fun. It’s kind of a pain, but you gotta do it. First, be sure to add your email to WordFence and set it to alert you whenever a plugin needs updating. They will send you a handy little email that tells you to get over to your site and update it. Before you update, run a backup with Updraft Plus. Save your backup somewhere handy. Then, update your plugins one at a time. Between each update, check your site and make sure it still is functioning and looks right. DON’T EVER do a mass plugin update. If your site breaks, you won’t know which plugin caused it. Do them one at a time. Updating plugins used to be terrifying, like sites broke a lot!! As WordPress and plugins have developed over the years, updating isn’t a scary task anymore, but honestly, I used to hate it. You’ll understand what I mean if you ever update and your entire site turns into the white screen of death. But, if you have a backup, you can install that back up on your server and you’re good to go. So, back up your site, update each plugin one at a time, and don’t use any sketchy plugins!!! If you stick with well known, frequently updated plugins you’ll be fine. If your site does break, install your backup if you can. Next, contact your web host, and they might be able to get you back up and running. If they can’t fix it or roll it back, get in touch with the WP Dude. Neil’s in England, so the time zones might be different than wherever you might be, but he’s great. Remember that plugins are what give WordPress it’s incredible versatility, but be careful as you add them. They can be the cause of broken sites if you load too many that conflict with one another or hacked sites if you fail to update them. Remember to update them regularly and configure WordFence with your email to help you out with reminders. If you want to add some plugins, be sure to follow the criteria given to evaluate whether it’s a good plugin to install. Also, if you’re not sure, run a quick back up before you install it in case something does break on your site. 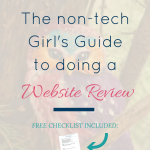 Here’s to making your site work for you! ps – the download is currently unavailable as I haven’t got all my content upgrades GDPR compliant yet. If you’d like it, shoot me an email at [email protected] and I’ll send it your way. 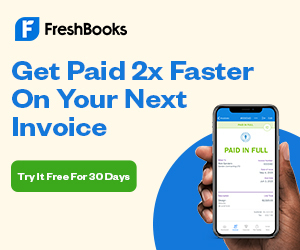 *Disclaimer: Some of the links in this article are affiliate links which means that I will earn a small commission for any purchases you make using the link. 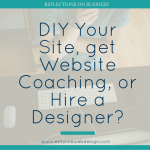 This post is designed to educate and encourage you in your website endeavors, but this is also my business, which is a for-profit endeavor! 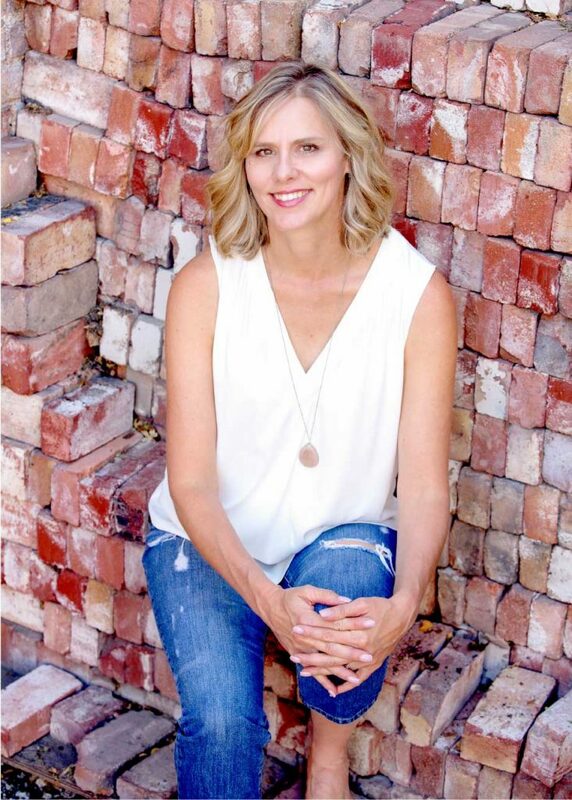 As you build out your site, I encourage you to also explore affiliate opportunities to help offset the costs of your website. Hey Amy thanks for your great suggestion. I also want to recommend you to include one more WP plugin in your list that is called Trash Duplicate And 301 Redirect. It helps to find and delecte duplicate contents in your website. And also permanently redirect removed content URL to the main URL to divert traffic to one URL and be safe from being penalized by Google for duplicate content. Hi Mark – I’m not familiar with that plugin (hard to get to know all of them as there are SO many), but I’ll definitely check it out!